Sliding bevels are precision tools and are used for checking the accuracy and marking of angles. Tri Squares are designed to check and mark out 90° angles. These tools are an essential part of any workshop or toolbox. They all contribute to the final fit of the timber to ensure the highest quality finish. 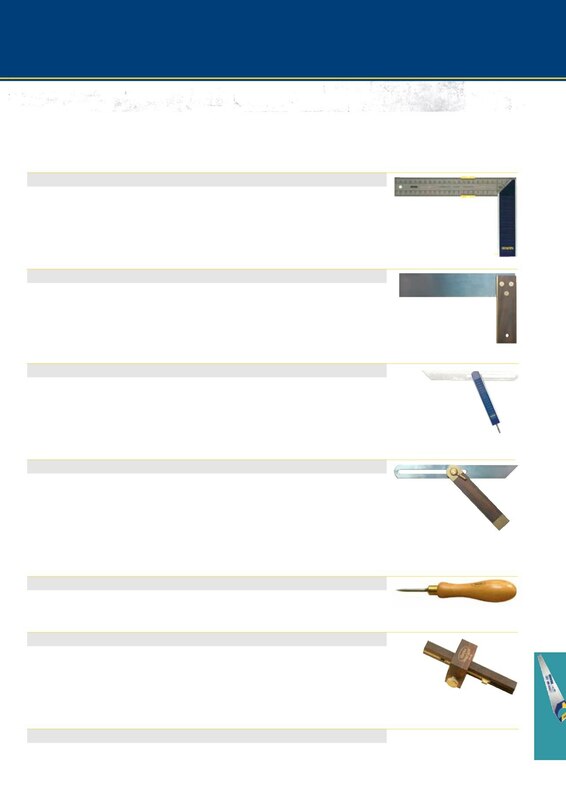 These versatile tools are used for shaping and finishing work.